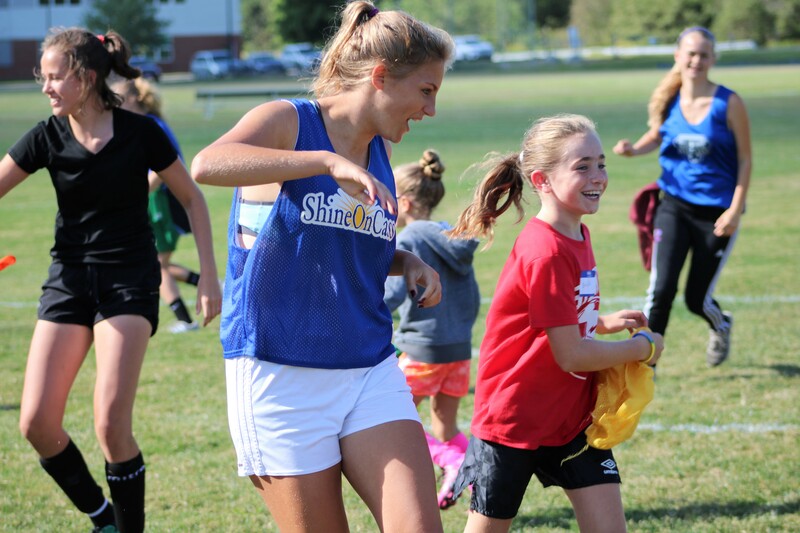 Messalonskee High School Girls Soccer held its third annual “Shine On Saturday” September 8th to honor former Messalonskee soccer player Cassidy Charette by hosting a girls youth soccer mentoring day. Charette was a leading Eagle mid-fielder and a youth mentor before she was killed in a hayride accident Oct. 11, 2014. Girls ages Pre-Kindergarten to 5th grade attended the event, which is organized by the Messalonskee Girls Soccer teams and the ShineOnCass Foundation. In addition to soccer and team building activities, attendees received autographed team posters and a “ShineOnCass Kindness Matters” wristband that earns them a special snack and recognition at all girls home games this season. The ShineOnCass Foundation was created to educate, inspire and empower youth to shine their own light through acts of kindness and volunteer charitable activities. For more information about the Foundation or becoming involved in ShineOnCass initiatives, email shineoncass@gmail.com.